Where can I find the dimensions of an object? 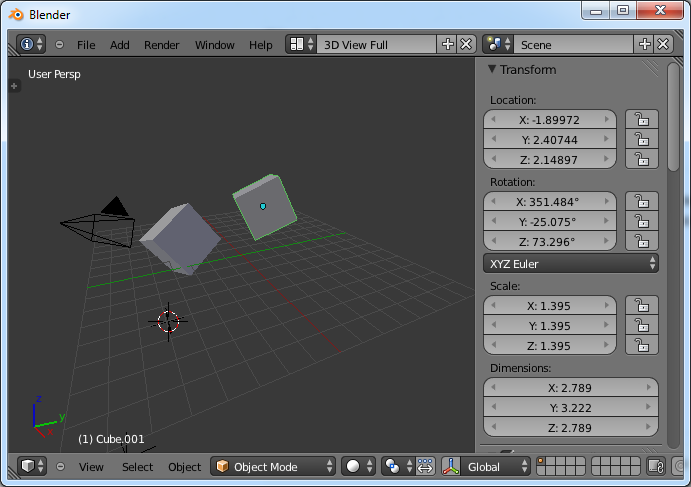 In earlier Blender versions, the "Transform Properties" panel showed the object dimensions (i.e., bounding box: width, height, depth). Now, it just shows location, rotation, and scale. Not the answer you're looking for? Browse other questions tagged interface transforms or ask your own question. How to precisely resize an edge or face? How do I rotate and scale edges in Edit Mode? How do I change the size of the bounding box without it effecting the object selected? How do you change the starting rotation on imported OBJ file? How do you apply the object transform so that scaling the object on a single axis actually scales along the correct axis? How does changing 'Dimensions' fields at once exactly work? How to change location, rotation, scale and dimensions of more objects at the same time?